Irregular bottle form with slant-cut mouth at top. 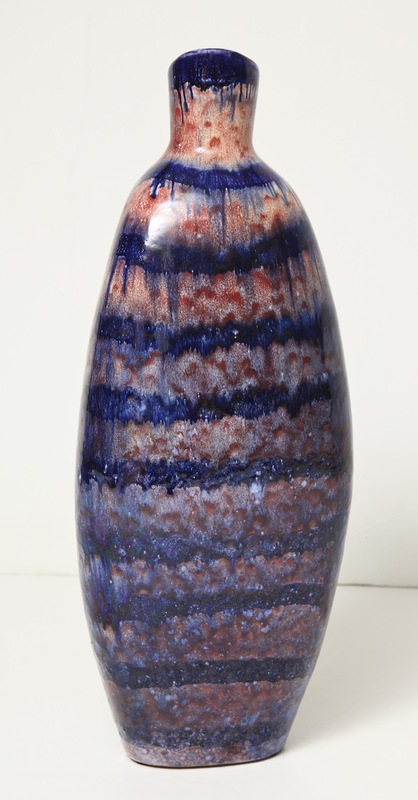 High fire glazes in mottled reds and blues create a beautiful effect. 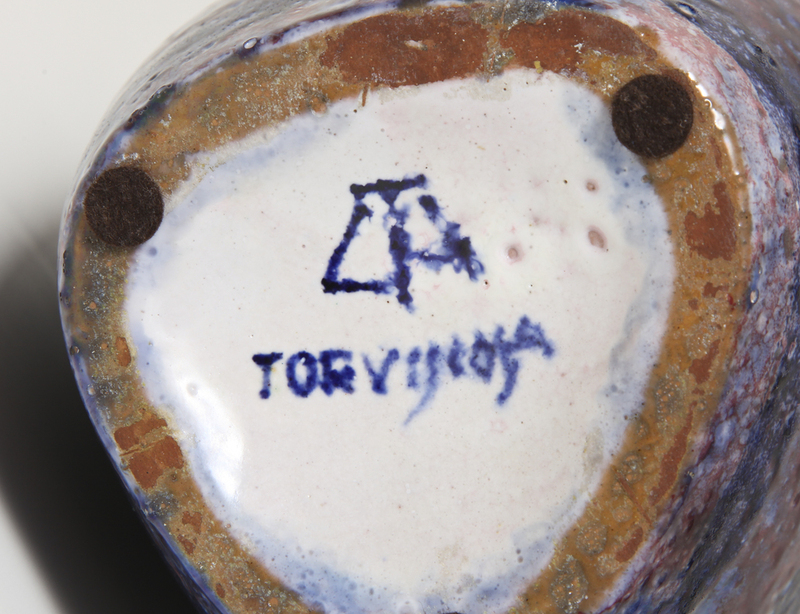 Really fine example of mid-century Italian ceramics. Signed on bottom. h. 16.75" w. 7" d. 6"
Excellent condition. No cracks, chips or repairs.